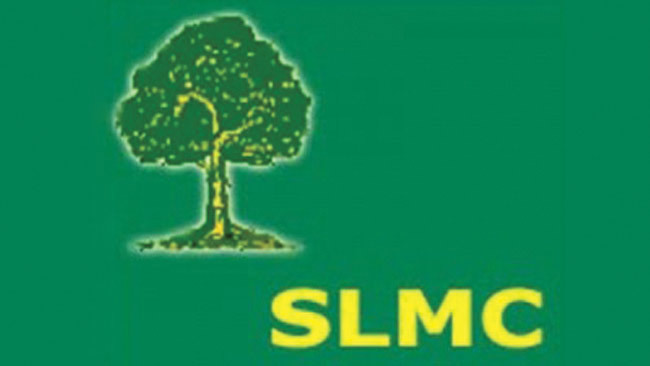 Sri Lanka Muslim Congress (SLMC) Media Spokesman Nizam Kariyappa in a bold move yesterday advocated for Muslim Personal Law reform and supported the amendment of Article 16 of the Constitution. Making his submissions to the Fundamental Rights Sub Committee of the Constitutional Assembly to form a new Constitution at Parliament, Kariyappa admitted that it was time that the Muslim Marriage and Divorce Act (MMDA) be amended to truly represent Islamic law and its principles. The Sub Committee headed by Minister Mahinda Samarasinghe, was also chaired by MP Vasudeva Nanayakkara and MP Jayampathy Wickremaratne. The Sub Committee which heard submissions on whether Article 16 of the existing Constitution should be repealed or not heard points of view from Muslim Women’s Rights Groups, A group of Muslim men headed by Javed Yusuf, representatives of the All Ceylon Jamaithul Ulaima (ACJU) and the SLMC. The Muslim Women’s Rights groups who have been asking for amendments be made to the MMDA stressed that Article 16 was “inconsistent with the supremacy and right based nature of the new Constitution” as the ‘unwritten laws’ such as Muslim Personal Law gravely discriminated against Muslim women in the community. Hyshyma Hamin representing the group requested that if Article 16 were to remain, that it should then ensure that the unwritten laws guarantee equality and non-discrimination or that it grant the choice of persons to opt out of laws relating to their religious or ethnic community. At present, persons in Kandyan Sinhalese and Jaffna Tamil communities can opt out of following Kandyan law or the Thesavalamai law but Muslims cannot opt out of MMDA and marry under the General Marriages Ordinance. Yusuf in the meantime insisted that personal laws in the country have worked well for so long and while reforms were needed to be made to the MMDA, it should not be allowed through the Amendment of Article 16. He also insisted that personal laws allowed for diversity to be represented in the country and that, “Change must come from within the community itself”. In 2009, a 16 member committee was set up to “Consider and Propose Reforms to the Muslim Matrimonial Law and Upgrading of Qazi Courts in Sri Lanka,” and is chaired by Justice Saleem Marsoof. The committee is yet to submit its final report. The MMDA has been strongly criticised for not prescribing a minimum age for marriage, for not allowing female Quazis (judges) to be appointed to Quazi courts, for recognizing the un-islamic principle of ‘dowry’ and for discriminating against women during divorce amongst many other issues.